Business Phone Numbers Guide - Which is Best 0800, 0845, 020? So how can I convince you that your business phone number matters as much as your branding? Any business guide you read will tell you how important branding is- how important your brand image is—but they will rarely tell you that your phone number is tied to your brand image, it’s an integral part of it. Why? Because it contributes to how your customers perceive you. So, conscientiously choosing your UK business phone number can provide your business with a favourable impression for your customers. Do you want to appear geographically neutral? Is it essential for you to have a local presence? So, would you like to implore your customers to call you and drive more inbound calls? Weighing the pros-and-cons of all numbers is essential. Firstly, with the rise of mobile phone usage in the past decade, 0800 have become frustrating for users who are most likely calling from their cell-phones in which case, the number is no longer toll-free and can cost up to 50 pence a minute. 0844, 0845, 0870, 0871, 0872 have the same disadvantage and are recommended only for customer service lines. 070 numbers are appropriate if you provide marketing or promotional services for others, even then a call diversion service would undoubtedly be the better choice. 090 premium rate numbers are great for revenue-generating call lines so you can charge your customers for the service you provide. However, these premium rate numbers are generally impractical for any other purpose. 0300 numbers are only suitable if you are a charity, non-profit or a public body. However, if you want this number’s benefits, you can opt for a 0333 number! For home businesses, you can request BT to assign you an additional phone line. However, this is expensive and requires additional contracts. The Call Sign service from BT allows you to receive business calls in your home for only £3.15 and provides you with a second line; you can customise rings, so you know when it’s a business call – this is just good as a stop-gap solution as it occupies your home phone. Switchboard services also go by other names, and frequently come with a free 08xx or 07xx number and for home businesses; these can be diverted to your home. Even though these are advertised as a free solution to your business, your customers are usually charged a premium to call a number and reach between 5-50p a minute, which repels customers more than 01 or 02 digits. Some switchboard companies offer freephone 0800 numbers for a fee. Switchboard providers might be useful to some – all they do is divert phone calls to preexisting lines, and when making outbound calls you are still utilising your standard phone line. So, this means that your call rates reflect that of your preexisting line, and your caller-ID will reflect this too. This solution also can’t be customised to grow with your business. VoIP solutions are by far the most scalable, customizable solutions for businesses of any size. Whether an SMB or an enterprise there are VoIP solutions fit for every need. 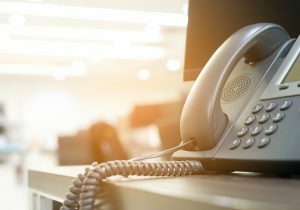 VoIP provides your business with everything that traditional telephony can do but with features that conventional telephony cannot deliver – and it can do it for a cut-rate. Most businesses are converting to IP; even BT is converting services to IP. VoIP is flexible and allows you to change your package and alter it when your business grows. Windsor Telecom is a leader in the UK for business phone numbers providing you with significant phone numbers as well as VoIP solutions. So, Windsor Telecom offers phone numbers to get you noticed and even provide you with localised numbers to help you break into new local markets. WHICH NUMBERS DO THEY OFFER? Well known company Windsor Telecom can help you choose a business phone number in the UK suitable for you using their online wizard or follow their number buying guide— and they also offer a 30-day free trial! So, the highlight of their service is their easy-to-use smartphone app. Callagenix is a telecommunication solutions provider providing both UK and Worldwide phone numbers, flexible phone services and VoIP telephony solutions. In contrast, they offer a wide range of UK numbers with over 100 additional countries for your choosing – including regional, freephone, national and premium rates. Their service also permits you to port an already existing number for better rates and additional features. Their scalable, flexible service allows the customisation you need for your business to build your ideal package. Additionally, Callagenix’ business class offers VoIP services for savings on line rental and call rates. So, consider Callagenix for a feature-heavy service – there’s a large selection of numbers to choose from and plenty of features to customise your package to meet your every business need. SwitchConnect.co.uk not only offers business phone numbers, but they also offer virtual office solutions which allow you to reroute your numbers to mobile phones or existing phone lines. SO, WHICH FEATURES ARE INCLUDED? Certainly opt for SwitchConnect if you’d like to complete your UK business phone number with a virtual office solution featuring everything from call statistics to voicemail-to-email. Above all, choosing the right business phone number, and an appropriate solution and provider for your small business is an integral part of whether or not you’re going to receive customer attention. There are a lot of options to choose from when it comes to selecting a business phone number, but hopefully, this guide helped you figure out which UK number is right for you. When choosing a service provider remember that VoIP solutions are the most scalable, flexible, and customizable with thousands of features. BT’s Call Sign Service as well as switchboard services are extremely limiting and are impractical if you are running a business that’s not at home – and even then, they don’t offer an option to grow with you or your company.